August 24, 2016 by Nexus Drinks·Comments Off on A Little Something Special? Just having a FLAVIA, Kenco Singles or Keurig machine on hand provides a great coffee experience. However, if you want to add a little something extra special, there are a few special extras you can keep in stock by the machine. Take a teaspoon of coconut oil and stir it into your cup for a silky-smooth extra flavour that will set your coffee apart from everyone else’s. It’s got a great energy payoff, too! 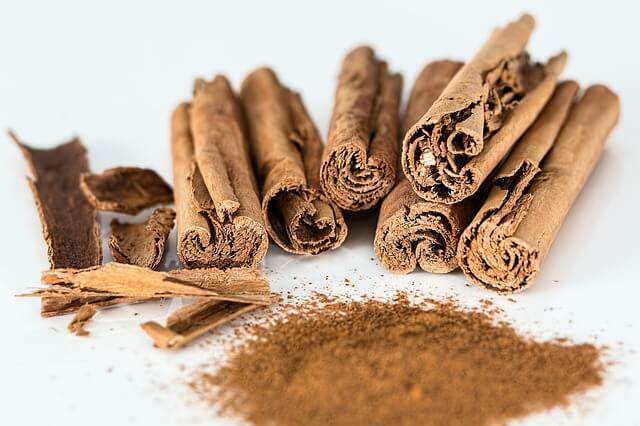 You can make your cup a little healthier without cutting the sweetness by swapping a spoonful of sugar for a pinch of cinnamon. With autumn almost on us and winter ahead, the extra hit of warmth from a little cinnamon in there is especially appreciated. While coconut oil and cinnamon can both be used to give your coffee a little extra pep, cardamom will actually slightly reduce the effective caffeine hit – so if you take more cups than many, a little bit of cardamom will make it easier on you while adding that spiced Eastern flavour. Well worth a try if you haven’t before! A splash is all that’s needed – but the distinctive taste of the maple means that as well as giving you a sweeter cup, you’ll get a little extra flavour. We think this one’s particularly good for showroom coffees – something to make the potential customer’s drink stand out from the crowd. Almost everyone’s heard of vanilla coffee these days; it’s one of the more common requests for flavour at coffee shops – but nothing’s stopping you stirring it into your cup straight out of the Keurig, and the flavour is just as good! Another non-sugar sweetener, a dab of clear honey does less to change the flavour profile of your coffee but does deliver sweetness throughout the drink instead of the ‘initial hit’ that you typically get from sugar. Just be careful if you go this way – unlike maple syrup bottles, honey jars are not designed for pouring!